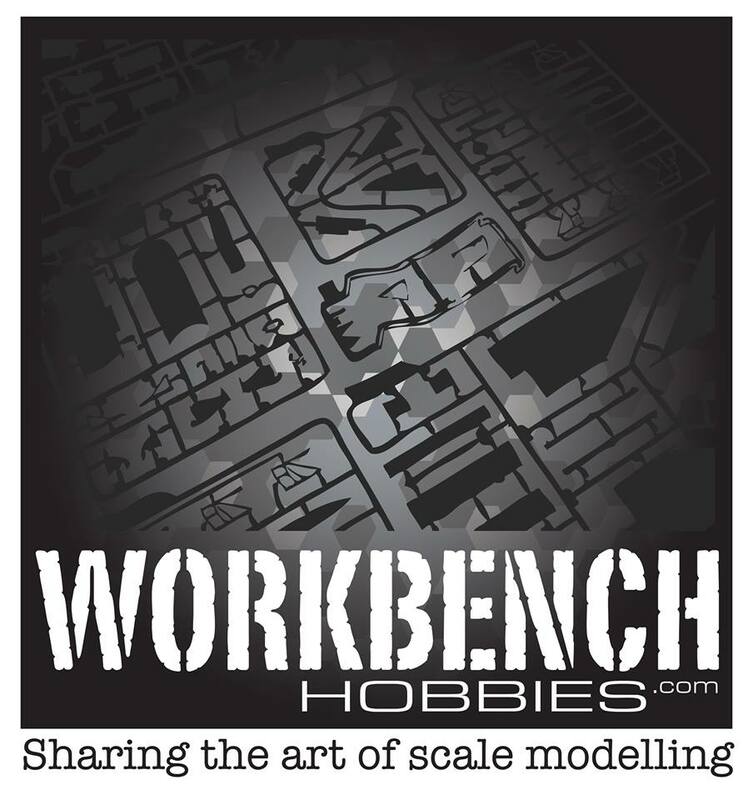 As our lives get busier and our display cases fill to the point of overflowing, there comes a time in every modeller's life where they have to think about what they are wanting to build and how they are going to display it. I have in recent times been hit with the harsh reality that I am indeed running out of cabinet space and find myself opting for smaller scales to better fill the shelves. Probably more than that, the ability to create and maintain momentum on a build is very important in the modern day and age…well at least for me it is. 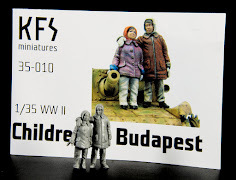 I guess for that reason I have been so drawn to the ‘in-between’ scale of 1/48th. Growing up it was nothing but 1/35th for me. 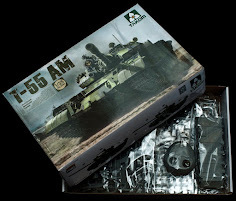 I cut my teeth on the old Tamiya kits and was always satisfied at the speed the things went together and that satisfaction you felt looking at your finished model. 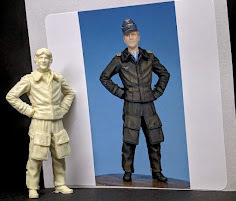 1/72 never really cut it as a scale for me because I never found the detail was at a level that I found acceptable, and then came 1/48. At first, I must admit the scale felt a little odd. 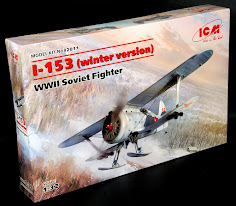 I was so used to the larger 35th scale kits, it almost felt like cheating or taking a backward step…Until I actually built one. Now I can say without question, I do absolutely love working in 1/48. 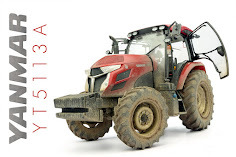 Whilst other manufacturers do have limited releases in the scale, Tamiya has been the shining light in the quarter scale kits, and I can’t rave about them nearly enough. 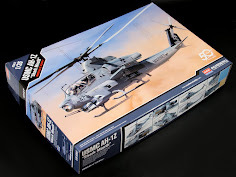 Easy to build with a great level of detail, but the scope for the scratch builder to improve on. I am a shameless fan of the scale and am now finding myself working mainly within it. Given the way I fell about the scale I threw my hand up to take a look over this one. 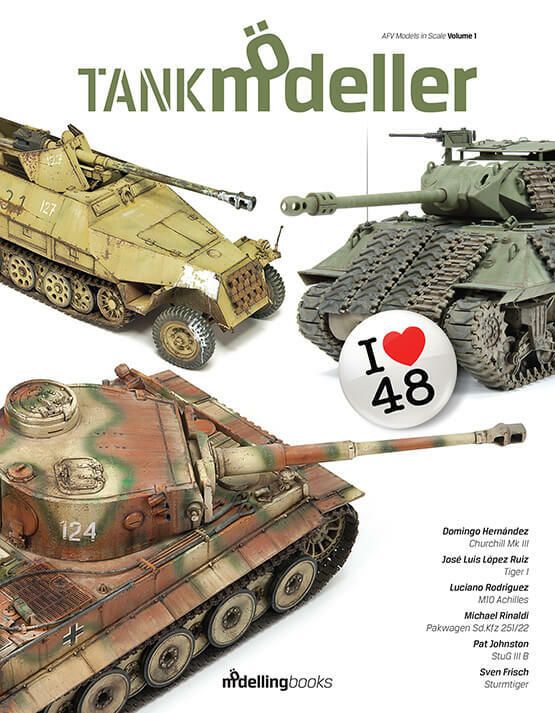 A publication based on a number of builds in the scale of 1/48. 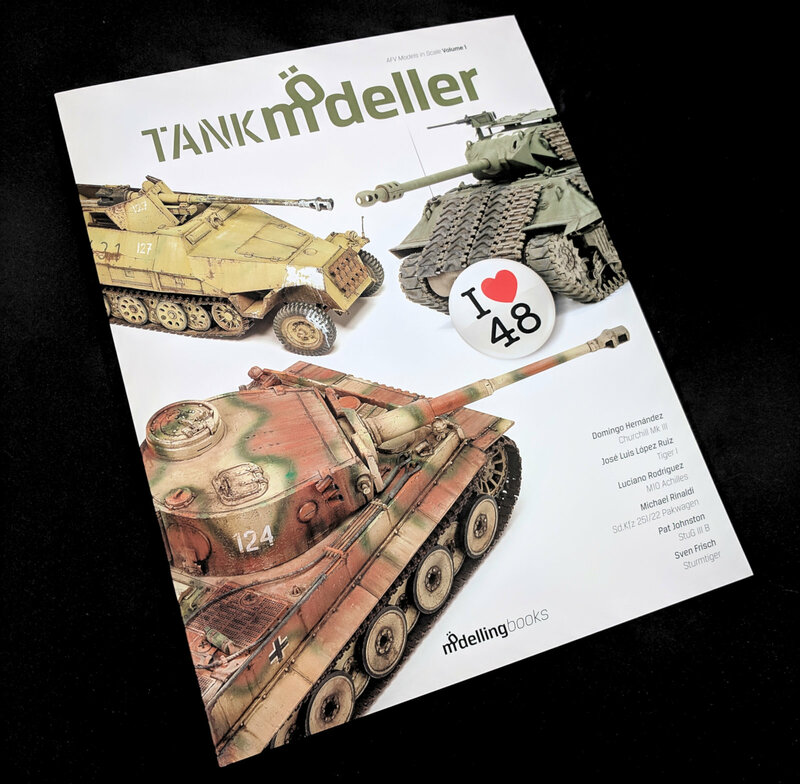 But I digress… I am here to review the new publication from ‘MÖdellingbooks’ – Tank Modeller – AFV Models in Scale Volume 1 – I LOVE 48. 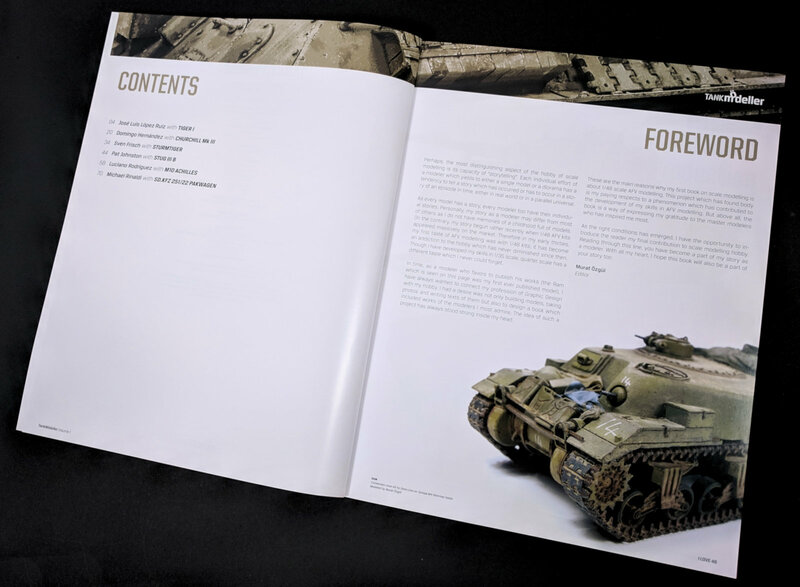 The facts – The book measures 210mm x 270mm and is really nicely presented with a soft cover with a matte celloglaze. It is most definitely a nicely presented book and by no means a magazine. The book contains 6 step by step tutorials but some very well know modellers (but more on that later). 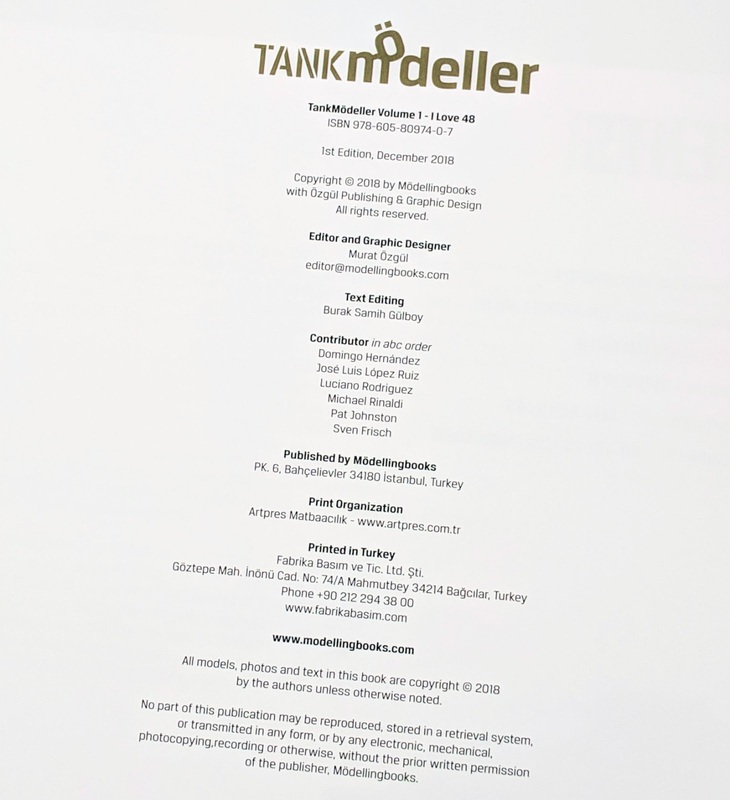 The book is designed and edited in Turkey by Murat Ozgul. The forward is written by the Editor himself, Murat Ozgul. Now, I accept that English isn’t the native tongue of the writer, but a publication like this really should have had the book proofread by someone who actually speaks English, because whilst you get the general gist of what he is trying to say, the English translation is questionable at best. This isn’t the only publication to suffer from poor translation, and at the end of the day it probably doesn’t matter, but I felt it was worth noting. Murat also goes on to write short introductions to each of the articles which suffer from the same affliction, but for now, I’ll just turn a blind eye. 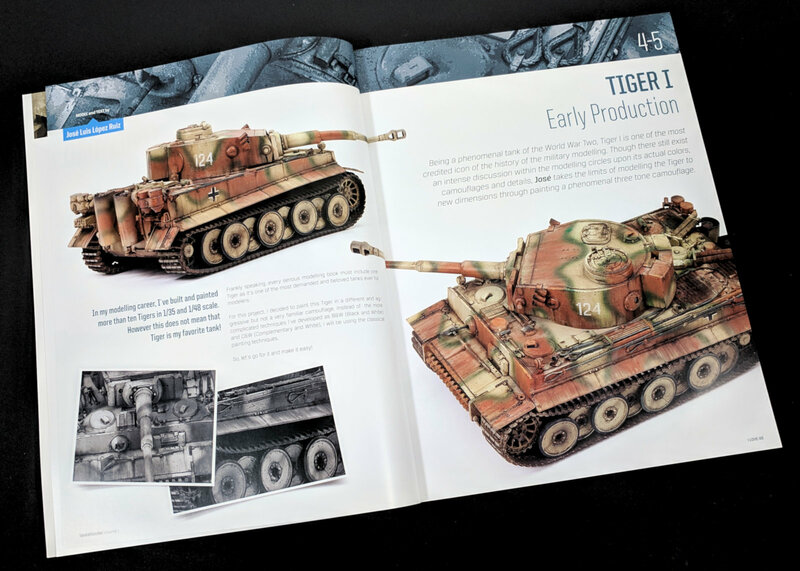 The first build in the book is a lovely little Tiger 1 by Jose Luis Lopez Ruiz. Jose adds some basic additions to the model and then explains how he went about painting the model. Again, the translation really isn’t great but you get the idea of what he is trying to achieve. I did notice that some of the copy didn’t match with the pictures that were being shown. Jose talks about a dot filtering step, but the image of that actually happening isn’t until the next page and the numbering doesn’t correspond to the text. The other thing that doesn’t sit so well with me is the fact the author mentions things like ‘dot filter’ technique but doesn’t actually explain what that means. 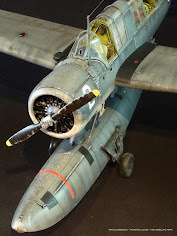 For me, I know what the modeller is talking about and know what that would look like, but for someone less experienced that may get quite confusing. All that said, Jose produces a lovely version of an interesting looking Tiger 1. 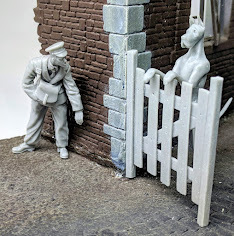 Next up Domingo Hernandez takes the 48th scale Gaso.Line Churchill from being a hunk of resin to a painted and weathered model. Immediately I noticed the English translation is very good, so that was a good start. 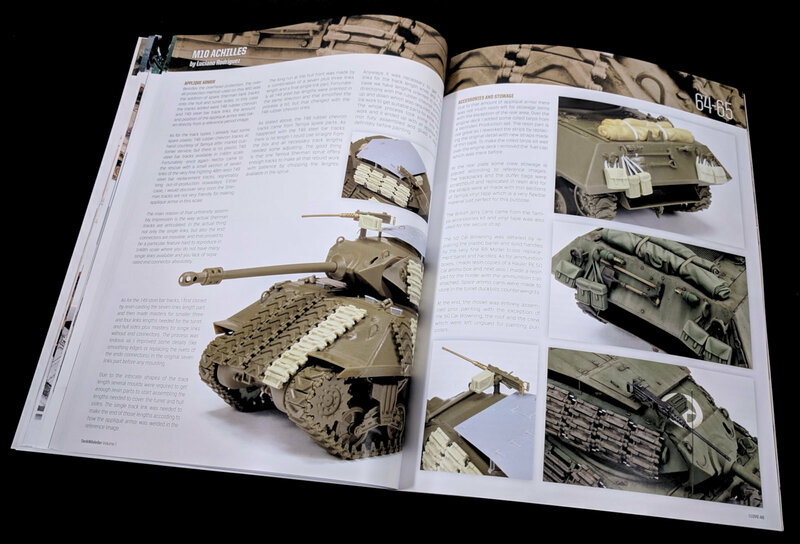 The article is quite in depth and goes into detail around the construction and building of the kit. 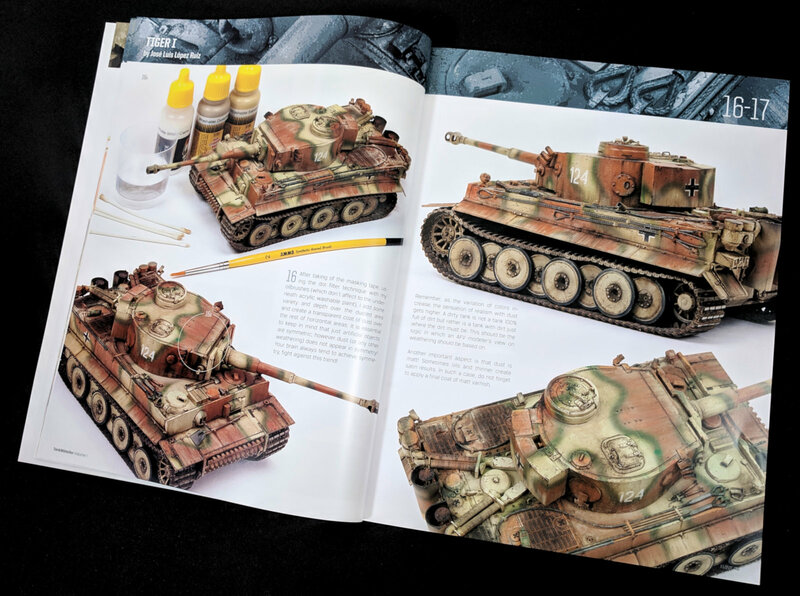 The explanations around the painting and weathering were very good and a little easier to follow the actual techniques rather than just the outcome of the painting. 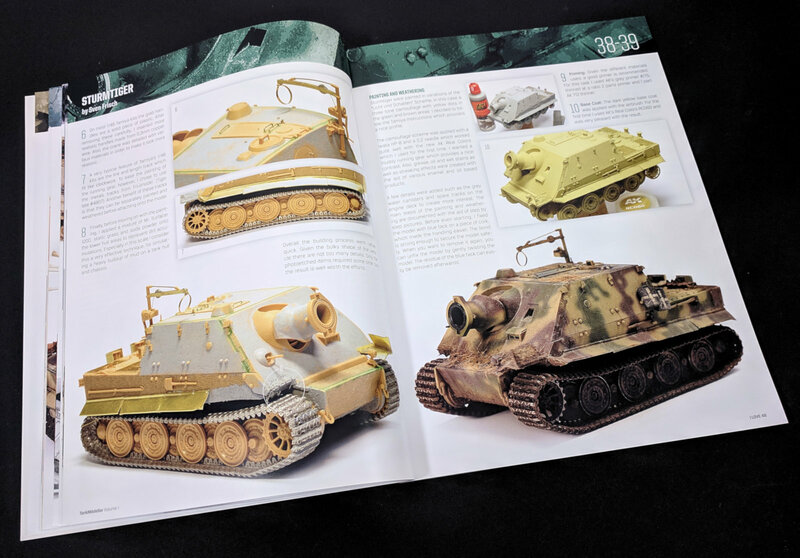 Sven Frisch now treats us to his Sturmtiger. The article is really well written and gives the reader a basic, but a reasonable overview of the process. 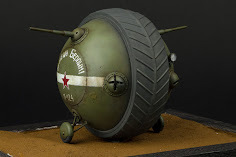 I really like the modeller's use of the static grass to add a textural element to the model. 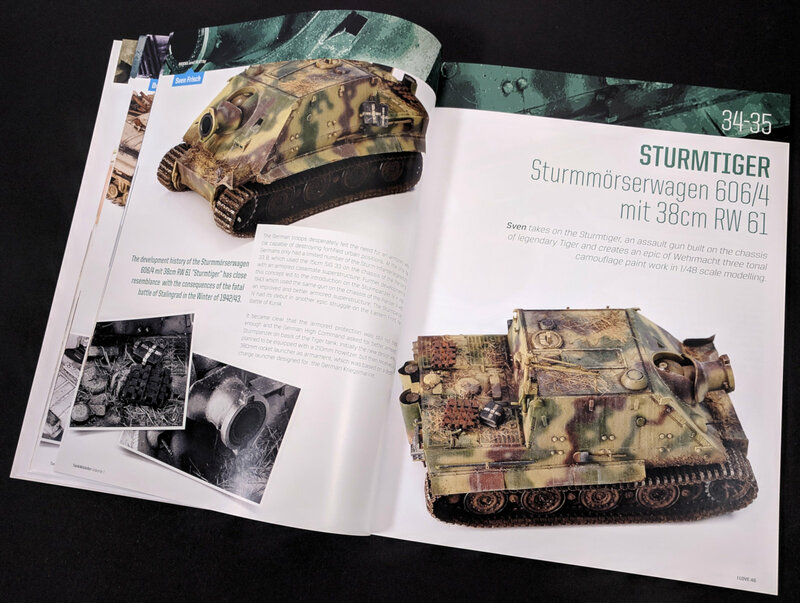 Sven shows us not only the painting but the model making process in a completed "bare" kit showing just what was added and where. 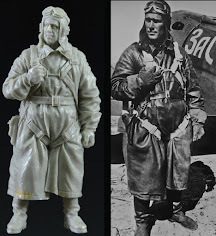 This contrasts mightily with the painted realism in the finished model. 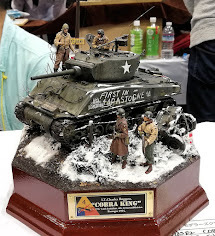 American modeller Pat Johnston then presents us with his lovely little Stug. 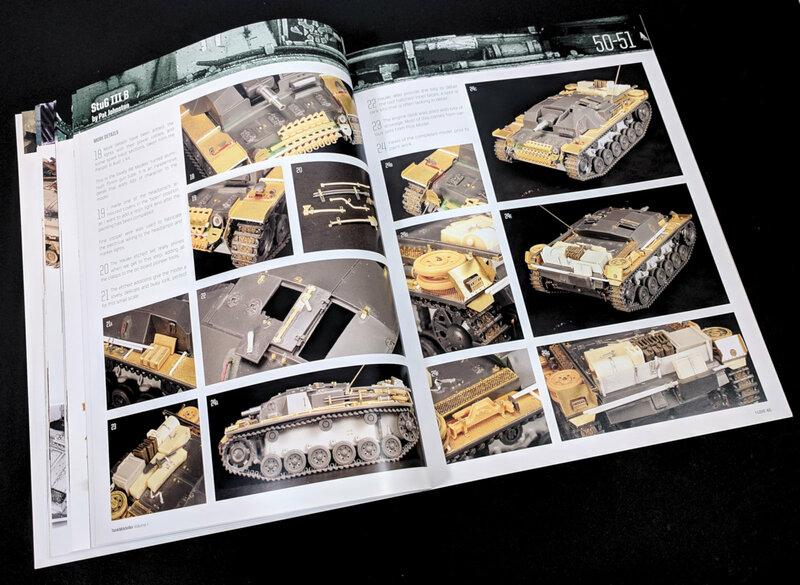 This article is again very well written and goes into great depth of how he added additional details through photoetch and aftermarket sets. Pat really shows the reader how to extract great depth out of a single colour paint scheme by using filtering and streaking techniques. Now, I have to say, this next model is a first for me. 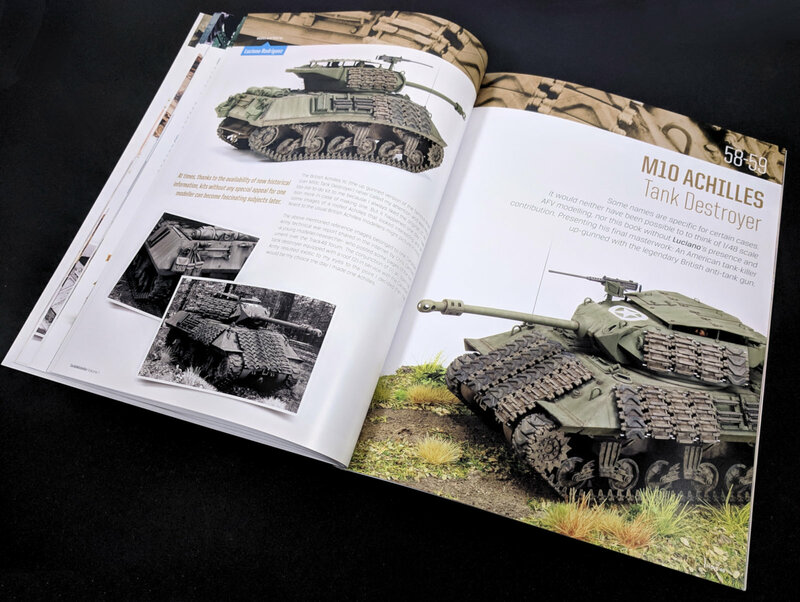 Luciano Rodriguez talks us through the addition of a roof plate to the M10 Achilles. 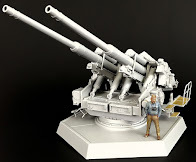 As history would have it, the Canadians decked out a number of their Achilles’ with this fitting, hence making for an interesting subject for the model. The article is in a little different style to the others. It is a little wordier rather than the step by step format. It includes some really interesting facts around the subject as some high-quality imagery really make this piece very interesting. 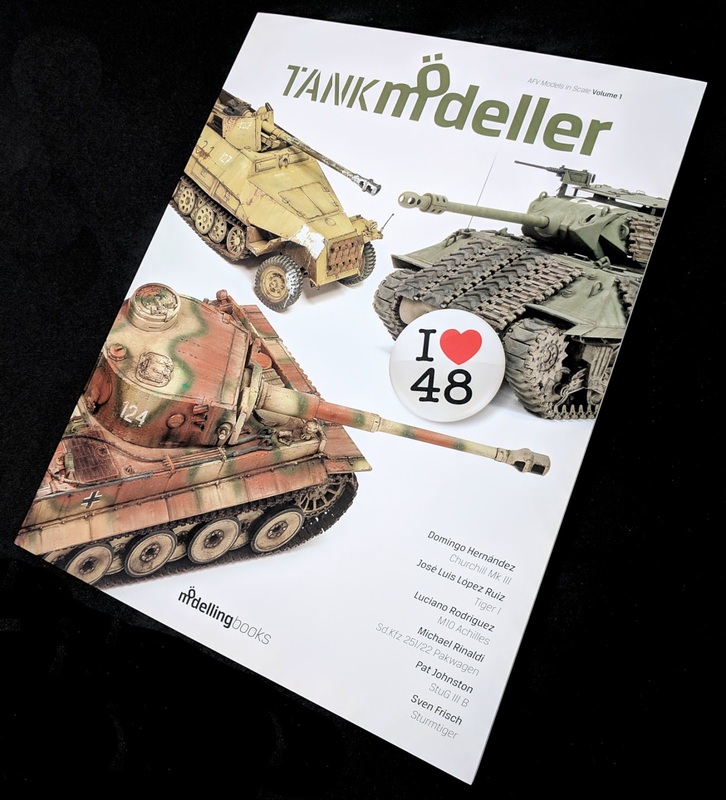 And then…the finale - I thought this model looked strangely familiar when I first saw the cover of the book, and then it struck me after seeing the modellers name, Michael Rinaldi. 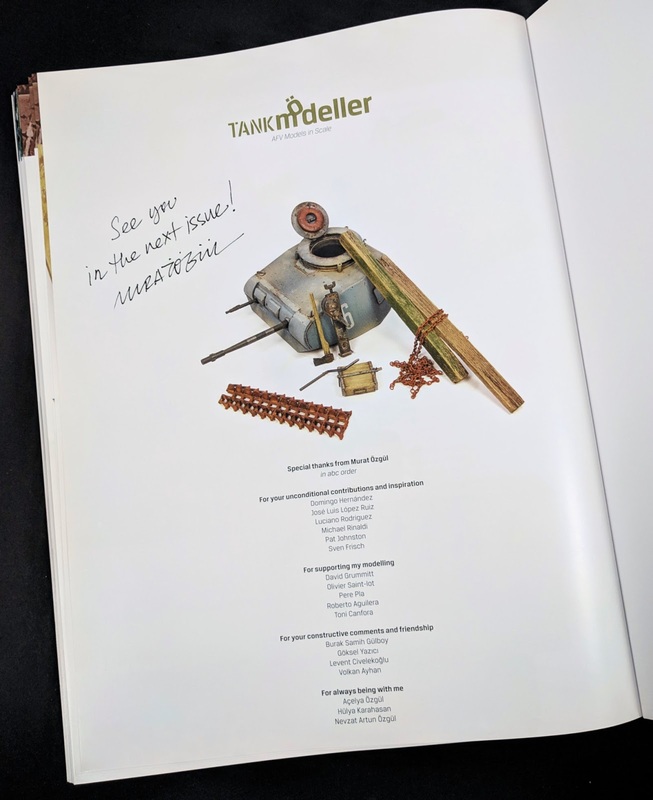 Of course, this model featured in Michael’s TANK ART 1 book. 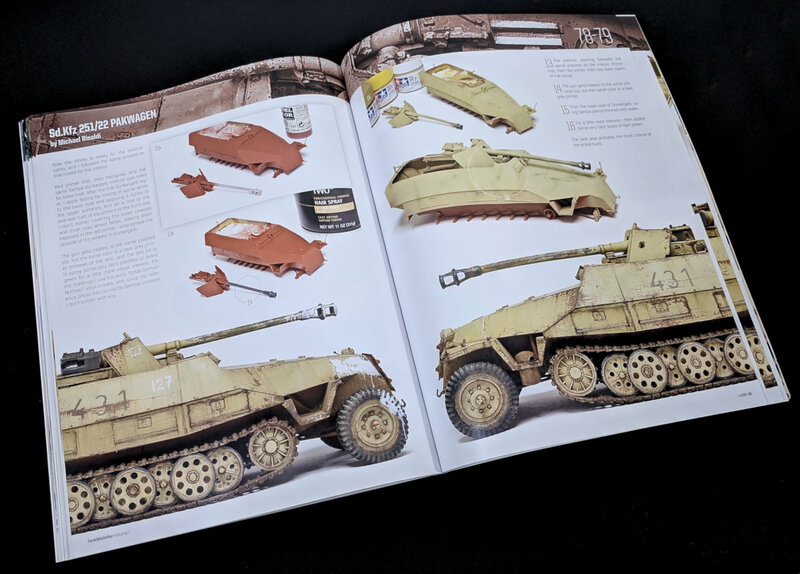 The model itself is stunning, and the article goes into the conversion of the base kit using the Gaso.Line Pakwagen resin conversion kit. Michael then goes on to explain in a step by step format some of the techniques and steps required to weather and wear the paintwork. Some amazing results are achieved through the hairspray chipping as well as oil paint filtering. 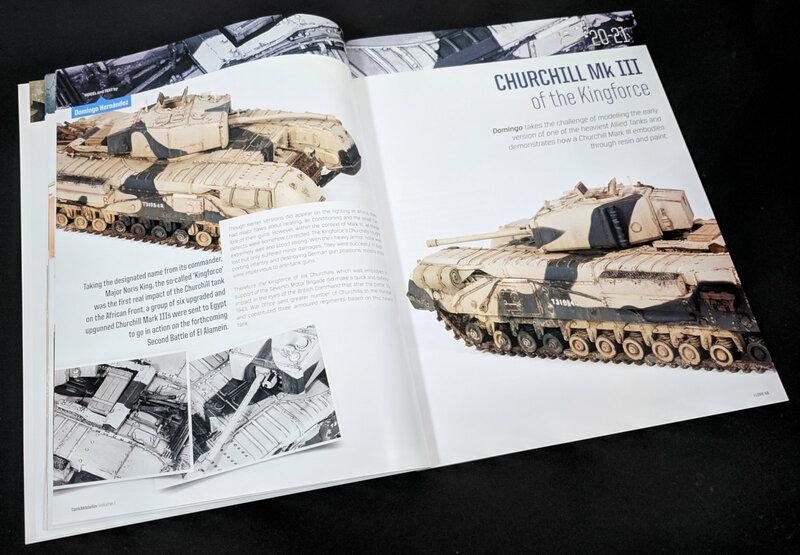 Whilst the article has been re-written for this publication (or at least from what I could tell), the photos have all been rehashed from the Tank Art Book, so given a lot of modellers may already have that publication in their library, the doubling up is a little disappointing. 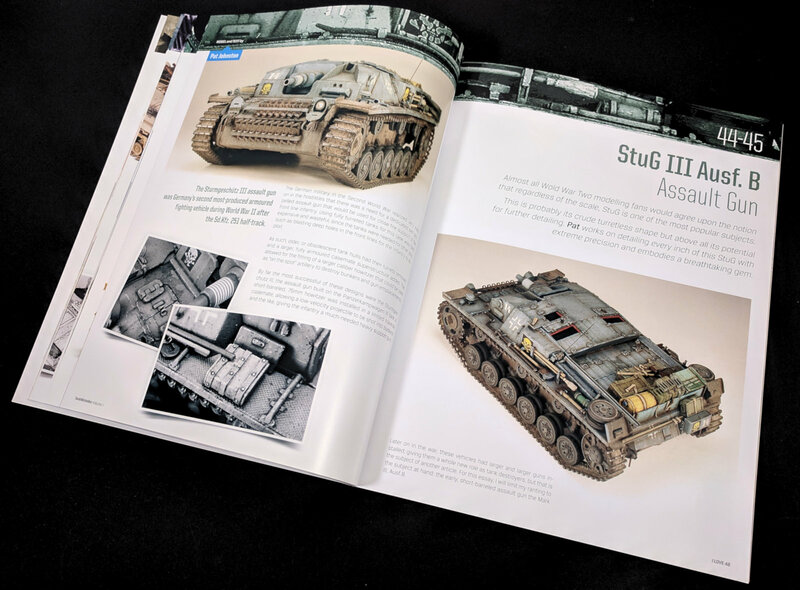 The book finishes up with a list of these talented modellers the Editor wanted to thank with a little teaser for a volume 2 around the corner. 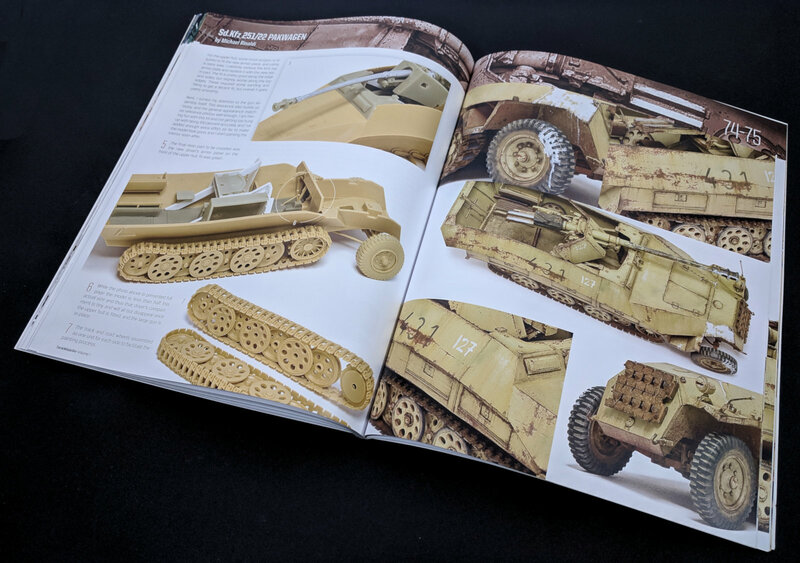 Although this book is based around the one scale of 1/48, most if not all of the techniques can be easily translated into larger scales and into different genres of modelling. 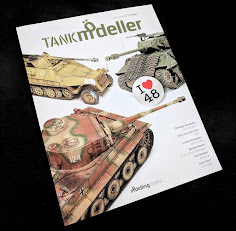 If you weren’t privy to the fact the models on the pages were only 48th scale you would be forgiven for passing them off at 1/35th. 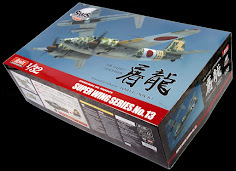 The models are of a very high standard and present beautifully. Whilst I am on presentation, there can be no doubt the publication presents magnificently. 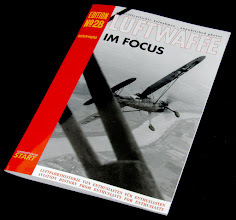 The finish of the print, the balance and flow of the layout and photography are beautiful. 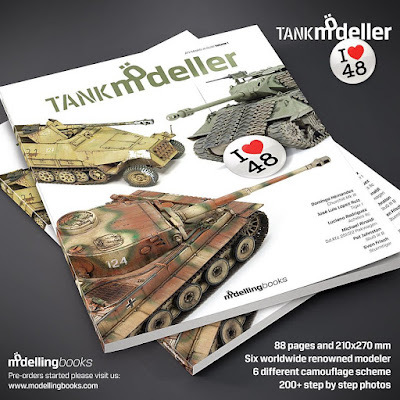 This book is really geared to the modeller who has some understanding of the basic techniques already in their kit bag as it tends to brush over simpler things a little too quickly at times. Again, at the risk of sounding like a broken record, some of the English translations are pretty bad, and there are a lot of spelling mistakes throughout. Not that I am much of a linguist, but these are all things that really shouldn’t have slipped through the net. 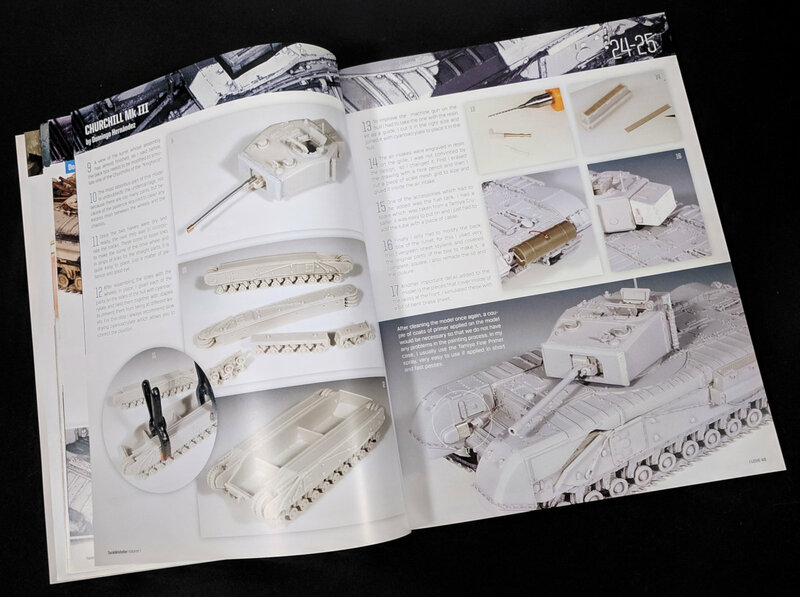 If you are like me, chances are you buy a book to flick through the pictures and read the steps to try and work out what the modeller is doing, so from that point of view, the translations and errors probably don’t really matter so much. Just more annoying than anything. For me that was OK, but if you were still at the beginner level that may get a little confusing for you. 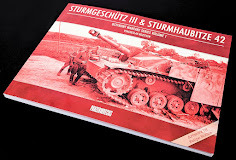 Thanks to the people at MÖdellingbooks for sending this book to us to read and review - it is available from their website and selected distributors Worldwide. 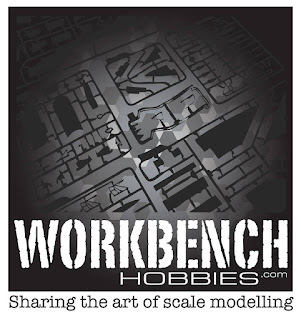 See more of Clayton's work on his Facebook page and his website "Workbench Hobbies"